GUI for the Unix find command-line tool. Is there a better alternative to NameFind? Is NameFind really the best app in System category? Will NameFind work good on macOS 10.13.4? 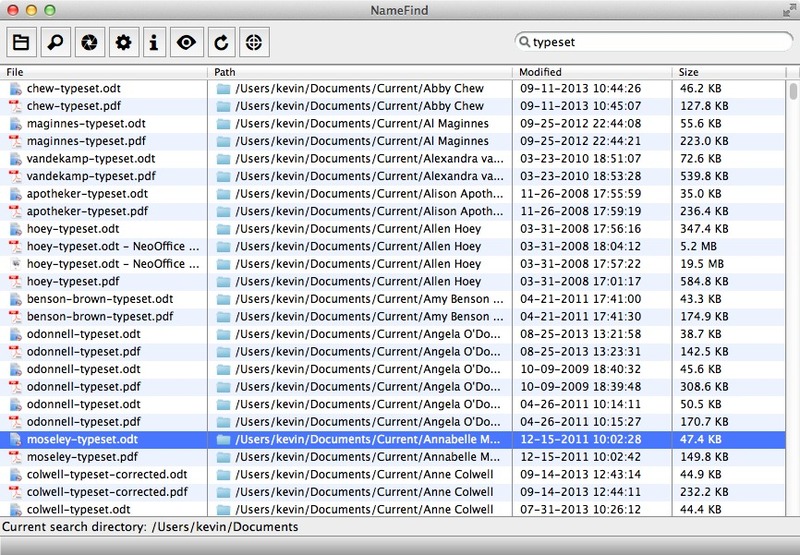 NameFind is a tool that finds what the Mac's built-in Spotlight search technology doesn't: a file with a specific name, in a specific directory, even a system directory that is not indexed by Spotlight. Spotlight is powerful, but running custom search queries with it is a complex process, and does not even search all directories on your system by default. If all you want to do is find a file by its name, Spotlight is not the best alternative. NameFind provides a faster and easier solution for this need: just type in your file name, type choose a directory to search, and go.